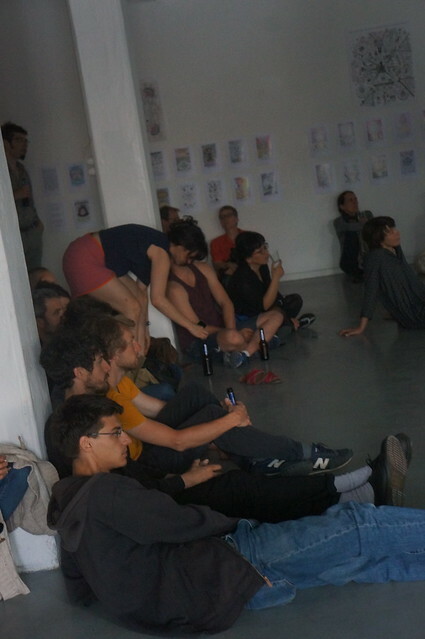 To finish the Anarchronism exhibition on a high note, we invite you for an evening of performances with Valentina Vuksic and DEMOLECULARISATION (jérôme & jean-francois Blanquet). 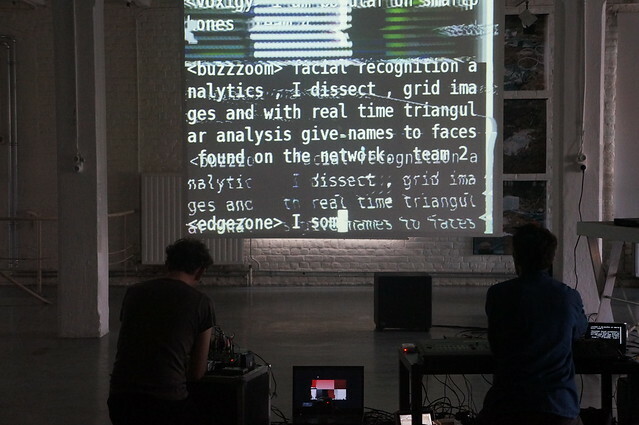 An invitation to plunge into the relationships of hard and soft computer matter by acoustic means. 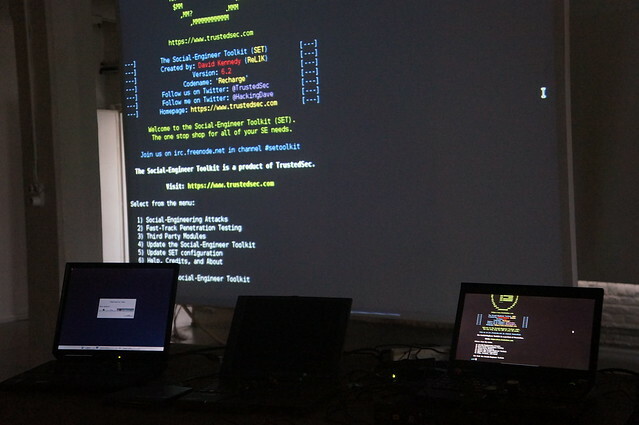 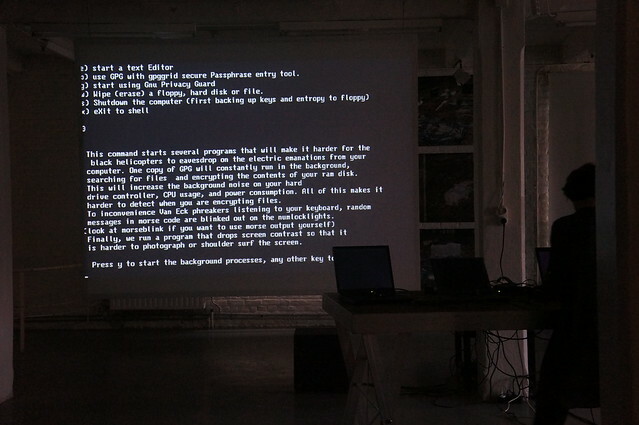 On a collection of laptops a choreography of software is being performed running on various operating systems. 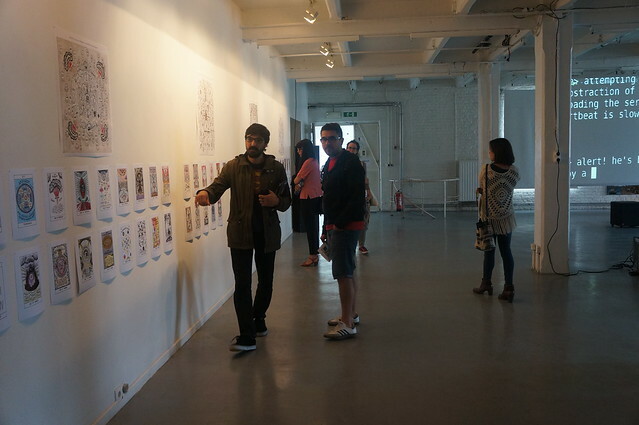 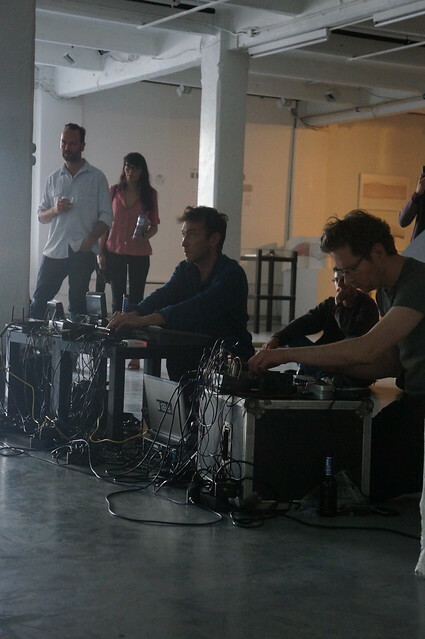 The processes are traced via their electromagnetic emissions rendered audible. 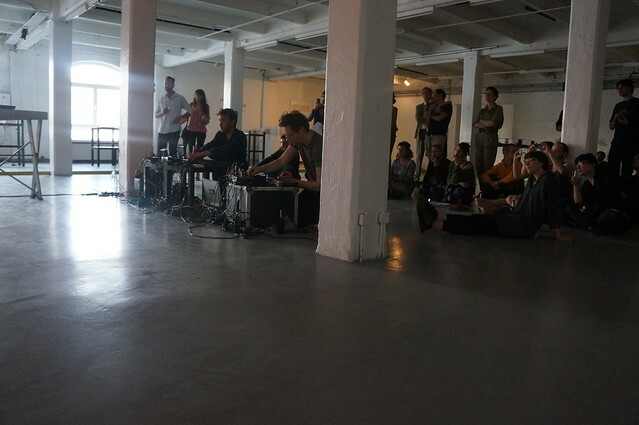 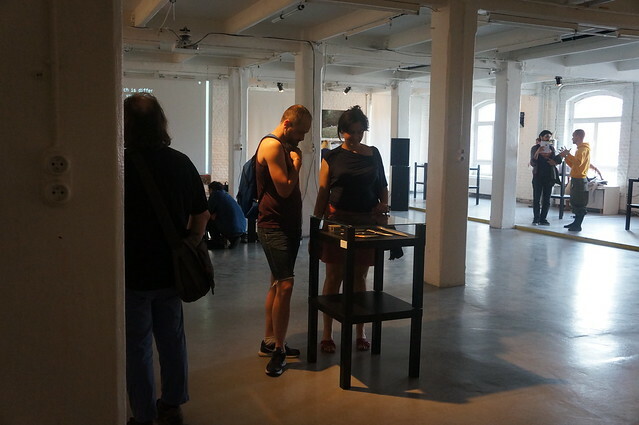 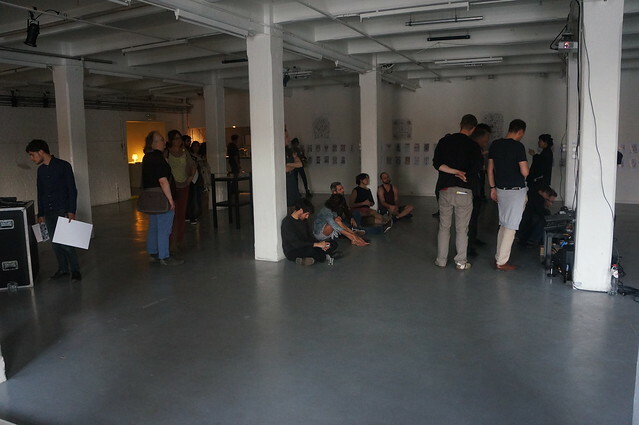 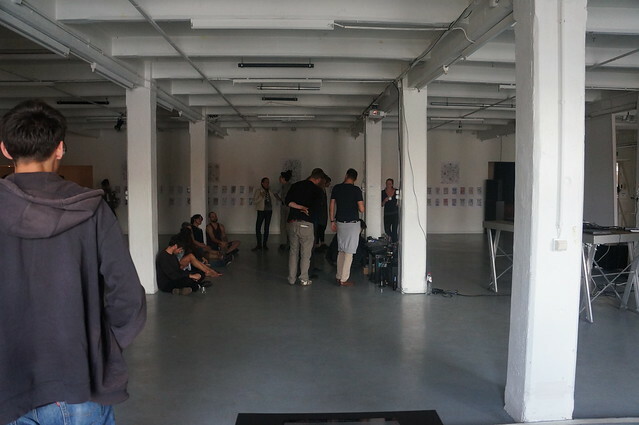 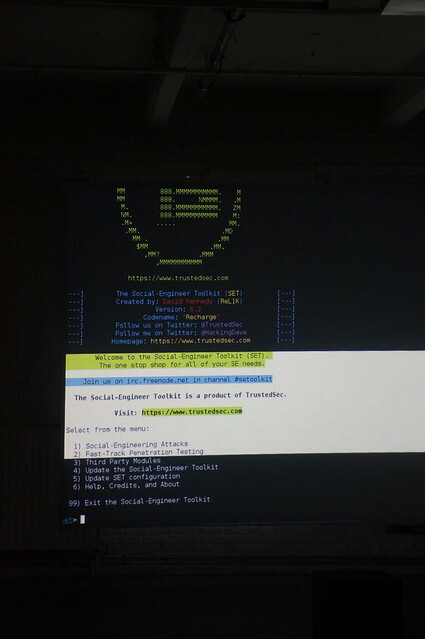 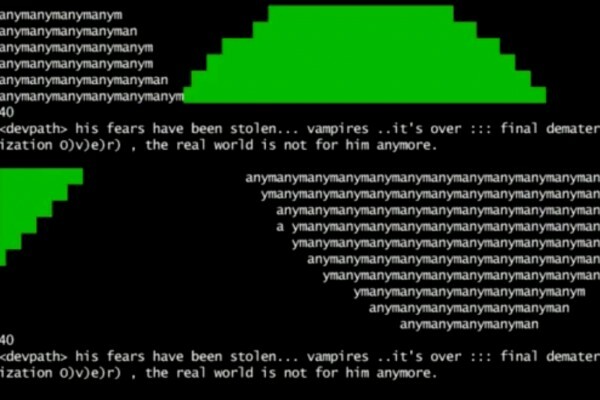 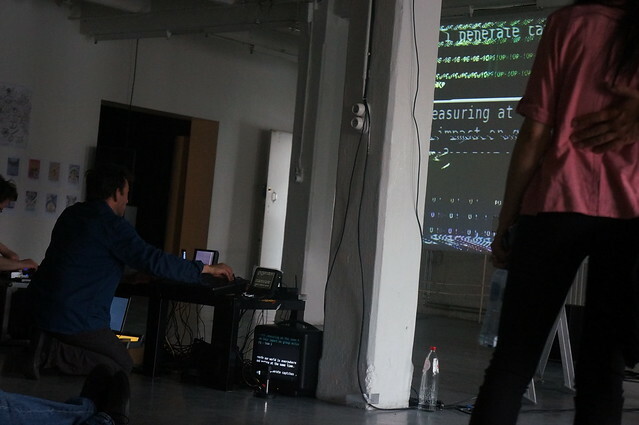 The undertaking aims at provoking and detecting specific behaviour of computer components caused by pieces of software and staging it for an audience to provide an experience of logic encountering the physical world. 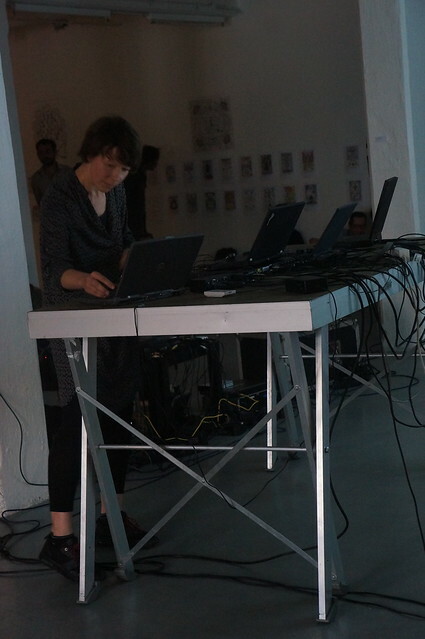 Valentina Vuksic (CH), 1974, media artist and software developer, engages with the physical foundations of technological systems by audifying computing environments. 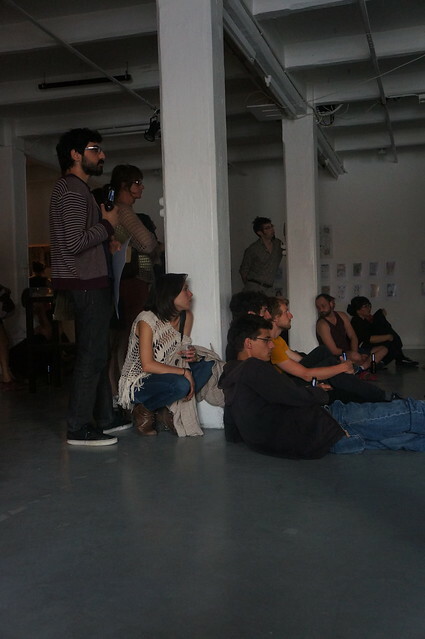 Her artistic activities since 2008 are encompassed by "Tripping Through Runtime" performances and settings. 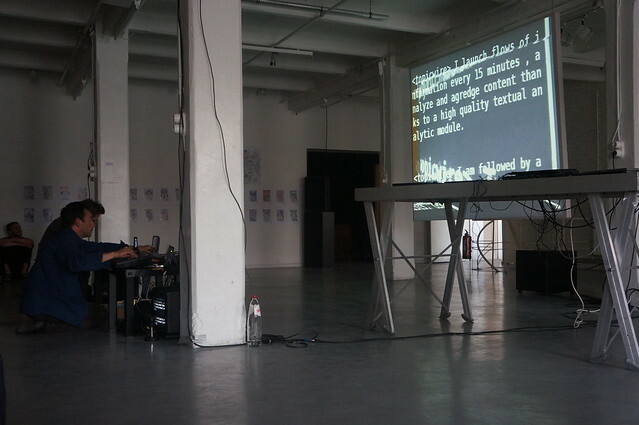 Since 2012, artistic research assistant for the 'Computer Signals: Art and Biology in the Age of Digital Experimentation' project by Hannes Rickli at Zurich University of the Arts. 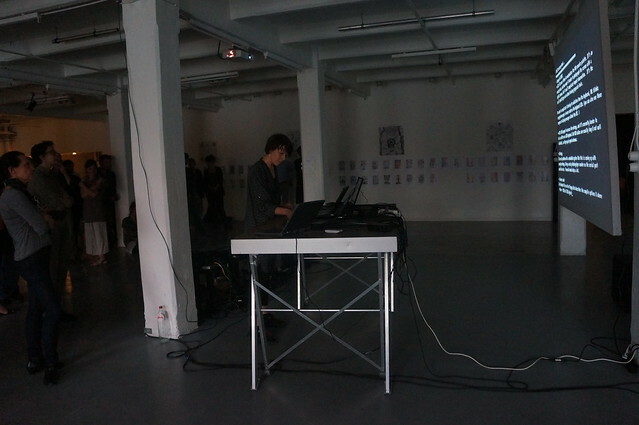 Jean-François Blanquet (FR/BE) developed several projects, in which he combines sound and visuals by using specific processes such as transmission/wave reception (radio, infrared, wifi), electronic feedback and larsen (mixer + effects, computer, speaker + microphone), modification and appropriation of audio and video objects (circuit-bending), voice and cut-up (work on text, words and language). 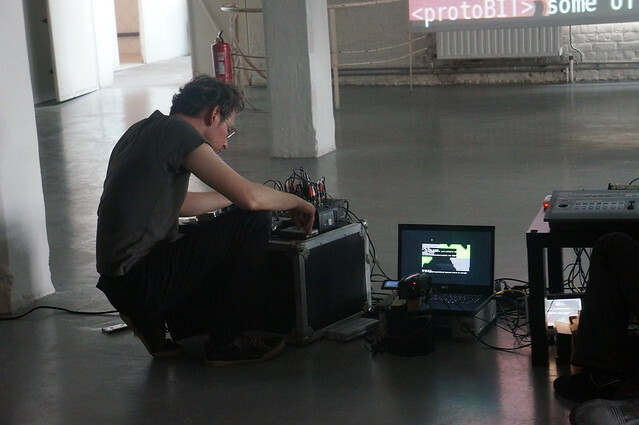 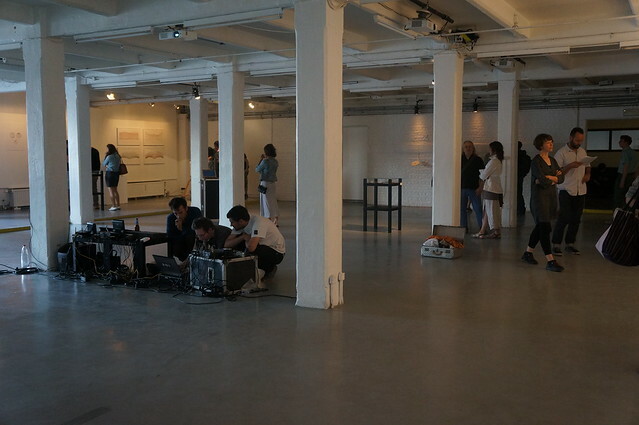 In his performances, he recycles technology and develops processes involving loops, larsens, re-injections of the signal and other chain reaction devices. 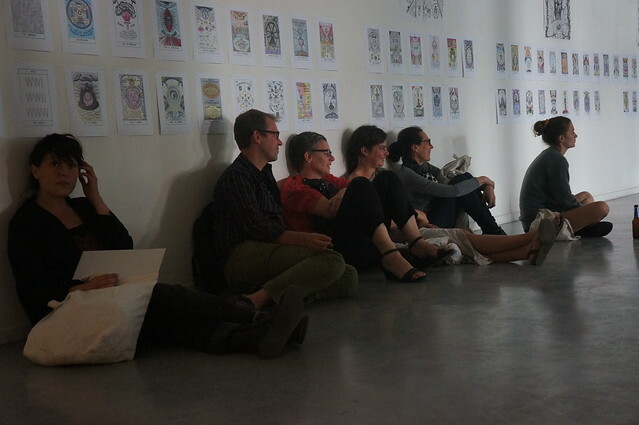 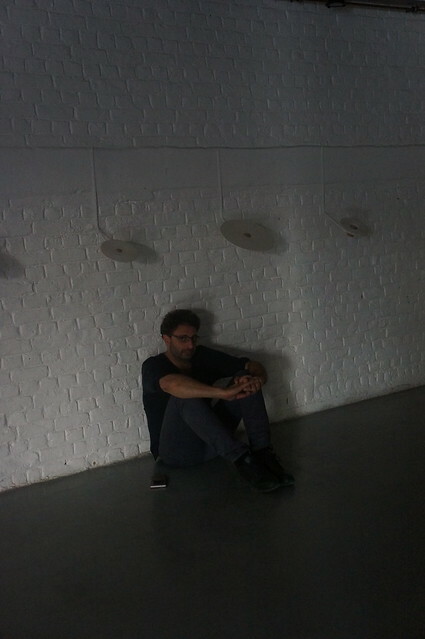 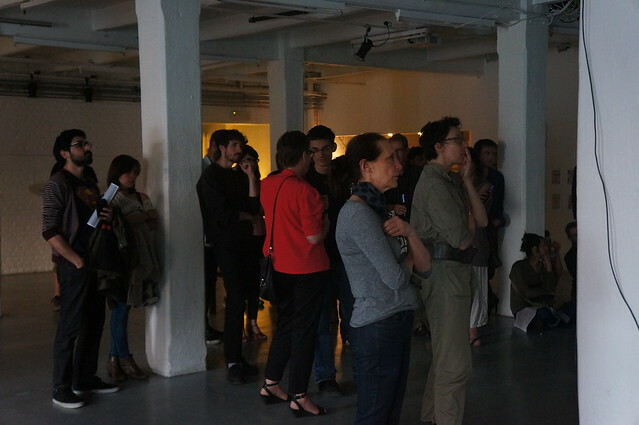 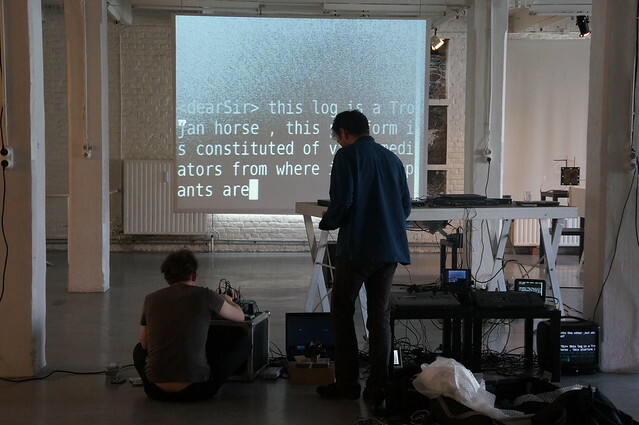 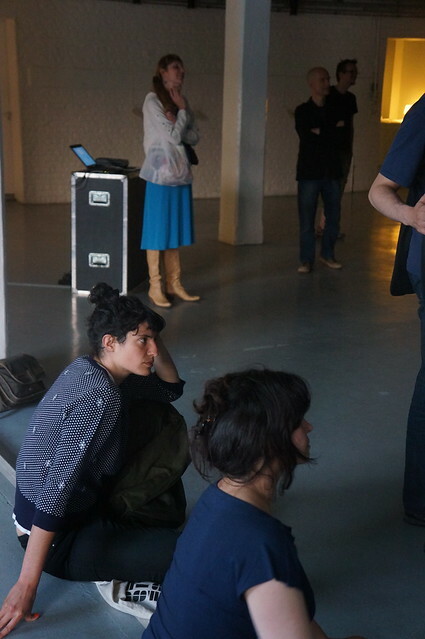 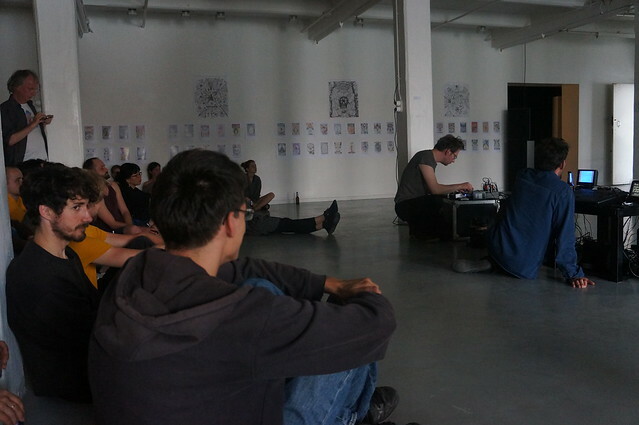 Jean-François Blanquet often works together with poets, video makers and musicians on multidisciplinary projects and is part of projectsinge group and DEMOLECULARISATION.